South Korean free agent infielder Choi Ji-man has received offers from 13 Major League Baseball clubs, his agency said Friday. 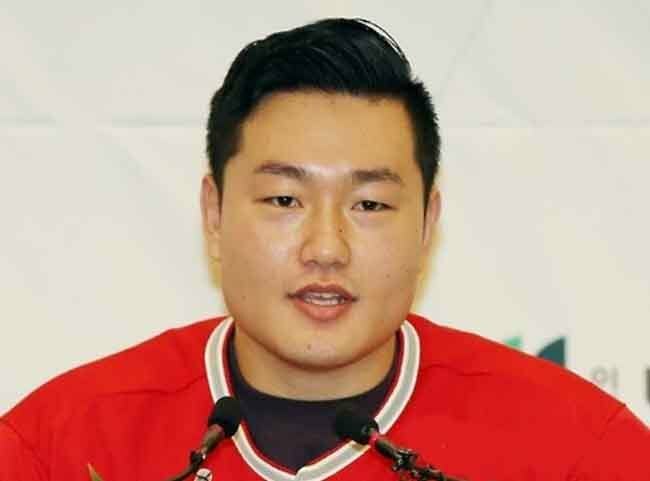 GSM said the clubs that made offers to the 26-year-old include Choi's former clubs the New York Yankees and the Los Angeles Angels. The others are the Tampa Bay Rays, the Oakland Athletics, the Milwaukee Brewers, the Miami Marlins, the Chicago Cubs, the Cincinnati Reds, the Baltimore Orioles, the Minnesota Twins, the Atlanta Braves, the Toronto Blue Jays and the Chicago White Sox. "Choi had an impressive performance in the majors this year," GSM said. "Choi was also recognized for his potential, so he received multiple offers before MLB winter meetings." Choi made his major league debut with the Angels last season and joined the Yankees on a minor league deal via free agency before this season. He batted .267 (4-for-15) with two homers and five RBIs in six games in pinstripes. Choi homered in each of his first two games with the Yankees. He, however, was demoted to the minor leagues in July. With the Angels in 2016, he batted .170 (19-for-112) with five home runs and 12 RBIs in 54 games. Despite receiving 13 offers, GSM said it will take some time for Choi to sign with his new club since there are many top-class free agent first basemen. "Big name first basemen like Eric Hosmer, Lucas Duda, Logan Morrison and Mike Napoli have yet to sign contracts," the agency said. "The majors give opportunities to high-paid players first even if rookies are good." GSM, however, said it is currently working on contract details with several clubs.